Live video is a great way to build your visibility, reputation and grow your speaking business. I have personally been producing podcasts, online video and webinars as part of my marketing plan for over ten years and my first experience of using live streaming was back in 2008. However, with the new emerging mobile live streaming platforms we have seen emerge in the last two years, it has never been as easy for us to start to broadcast and reach a global audience. There are a number of factors that need to be taken into account if you want to successfully integrate live streaming into your business, including determining what success will mean for you if you invest time and resources into live streaming. 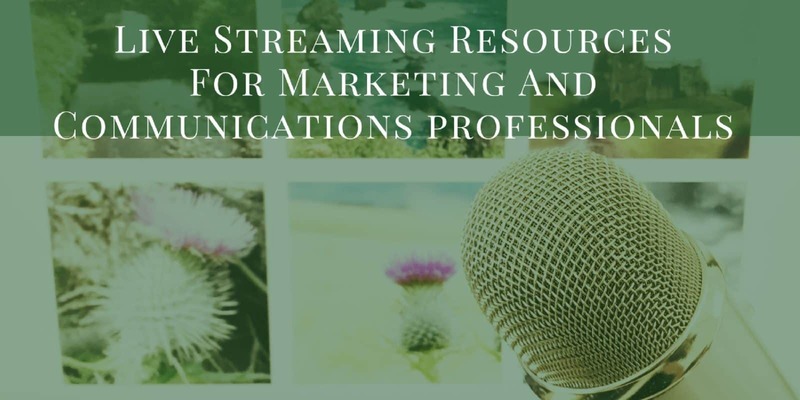 On this page you will find resources to assist you in learning about live streaming as an additional tool for marketing, online PR and social selling. – and if you wish to host events from a mobile device or from your desktop. You can contact me to book a free live streaming discovery session to explore the right platforms to support your strategic goals – schedule a meeting with me here. If you have come to this page but were not at my session on Bringing Your Brand To Life With Live Video at the Social Media Summit Ireland you can access the slides from my presentation here. Subscribe to the Live Stream Insiders – join Krishna and her co-host Peter Stewart for the Live Stream Insiders Show where each week we cover the latest news, technologies, tips, case studies and best practice guidance for using live video to build awareness, attract leads and grow your business. Looking For Live Streaming Strategic Advice Or Production Support? If you have questions about live video for your organisation you can schedule a conversation with me here – it is a FREE service I offer to help you work through the options that are right for your specific requirements and this will help you build your brand online NOT detract from your brand as we see in so many cases. I also have a NEW accountability group for people who have not yet done any live streaming – it’s a free accountability group to help you get started. If you are interested in joining me you can contact me here to learn about how to join us.